The heating manifolds are the basic component of the distribution systems inside homes, especially as regards heating and therefore the conduction of the fluids towards devices that can be radiators or radiant systems of furniture for bathrooms. The heating manifolds are also called multiple-derivation devices because they have on the central body a number of derivations ranging from 2 to 4 and that allow screwing them together with threads on the central body to create infinite useful combinations in most of civil installations. 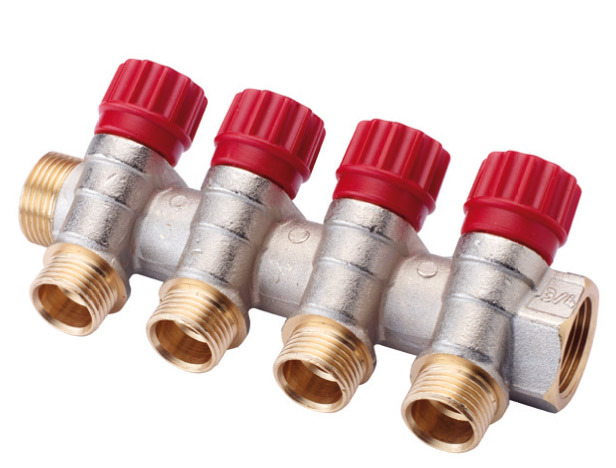 When there is the need to install the heating manifolds, it is usually necessary to use metal containers that allow to host also the tubes, in an aesthetic way, that go towards the users, hiding the system from view. But to be able to be housed in this way, the minimum space that these items have, is used. The choice of heating manifolds is made taking into account the flow required for the choice of body diameter, but also taking into account the type of system to decide if it’s right for us and whether or not the item with regulating and closing taps or the one without.